MSC: At MSC, we're on a mission to equip and inspire women and girls to design the life and career they love! What does that statement mean to you? How you design the life + career you love? The Colored Girl: We design the life we love by working on ourselves as individuals, and also being willing to be of service to those around us, and to our greater community at large. We are firm believers that “You cannot ask for something you are not ready to give”… and understand that serving a higher purpose (service in the needs of others) is key to this. We also break things down, and work on focusing on what that immediate task at hand is and how it fits into our overall goals & greater vision… Because there are levels to how things get achieved! We honor the PROCESS, rather than being fixated on the PROGRESS, which is key when needing to be able to really see your deepest desires come to fruition. We are also not afraid to take slower steps to be able to finish things well, while also asking for guidance along the way if needed. We also believe in remaining true to self as well and letting that truthfulness of heart & soul dictate how we move thru the world. We find that this helps us to align synergistically and amplifies our ability to manifest or create the life we desire… for ourselves, and be a great resource in aiding others to do the same. MSC: We heard you two are good friends, and that you met on Instagram. What an incredible way to meet your business partner! How did you know you wanted to work together to start a movement and community for women of color (WOC)? The Colored Girl: When we initially “met: via IG”, it was thru mutual admiration. Creating TCG and working together is something that organically happened, it wasn’t planned. We got snowed in a few winters ago and decided we wanted to start a meaningful, creative & disruptive passion project to represent, unite, uplift and empower WOC. So we decided to use everyday things that most women obsess over (beauty and fashion) to tell the story of colorism amongst black women, debunk the myth of lighter being better and also widen the margin on the standard of beauty in mainstream media. We felt all of these things needed to be addressed and decided to collaborate to build that story out using stunning & powerful visuals. Our first campaign went super viral with the help of Essence magazine and Instagram, and what started out as a passion project became a movement which is now a brand! More than 2 years later, we are now a business doing those same things and more! MSC: What inspired you to found The Colored Girl? Could you share some of the story behind your mission and how your community has evolved and grown since your launch in 2016? The Colored Girl: Women, love, and the human experience inspires us. We believe that we are all just different colors and cultures and that these things should be celebrated and not seen (or used to be) as divisive. Our mission remains the same: to uplift, unite and empower women of color. However, we have grown tremendously as a company since we first started. Our community, whom we call TRIBE is amazing! Their support has been an integral part of our continued success and growth. No woman can go it or make it alone, and so we highly value our TRIBE for the love and support they provide for us. One tangible way we’ve grown however is in the form of taking our online digital content, campaigns and community engagement offline and into real life in the form of an amazing annual women’s retreat, called IMARA. IMARA is an experience like no other that focuses on personal and professional development while connecting other amazing spirited women of color from around the globe! The next retreat will be taking place March 24-31st, in South Africa and we are super excited about the impact it will have! MSC: What is your typical workday like? The Colored Girl: We both usually start our mornings out with personal time to reflect, meditate (including yoga - Victory) and then its followed by a lot of relationship-focused communication via the women in our network and beyond; ideation of creative ideas (on some days), daily admin, creation and management of creative collateral, plus lots of emails & phone calls. There are also times when we are physically networking too, by going to events… And we do travel a LOT! But, most days are home office run for both of us and we are fortunate to be able to work remotely (via technology). MSC: What’s your biggest challenge right now? What would you say to encourage girls encountering challenges in either their career or school? 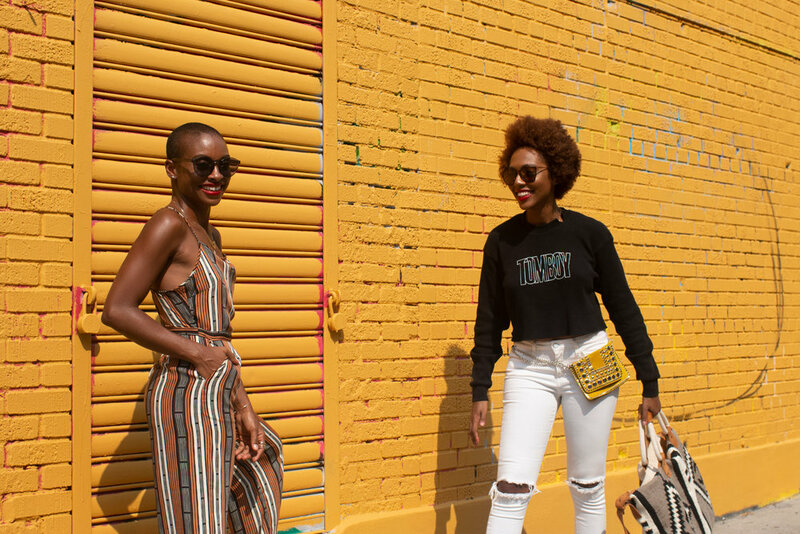 The Colored Girl: We are growing at a rapid rate, and opportunities are presenting themselves at every turn… So, we are at a point where we need to scale and we are figuring out the best way (and tools to use) to do so! We believe that every challenge is an opportunity for growth, or to learn something. And that they shouldn’t be shied away from, but embraced in order to learn. We try to keep a beginner’s mind and also rely on instinct as well, plus we are never afraid to ask for help or consult others when we are looking for answers to things we may not know. So, we would always advise for girls to try and keep that open-minded, grounded, and humbled perspective, and to never be afraid to ask for what you need! MSC: Tell us about the IMARA retreat! The Colored Girl: IMARA IS AMAZING! It’s a 7 day immersive & emotive, life-changing experience that meets each woman as she is, regardless of titles, occupation, income level etc… We approach empowerment from a holistic standpoint by first delving into the who we are as women first, the relationship we have with self & others, and then how we move in the world to create lasting tangible positive change. It truly is a magical experience when you have all of these incredible different women together, on the continent of Africa, being open, vulnerable, being resources for one another & community and just sharing so much of themselves to learn and grow. It’s truly a phenomenal experience. MSC: What's next for TCG? How can the women and girls of MSC get involved to support your mission? 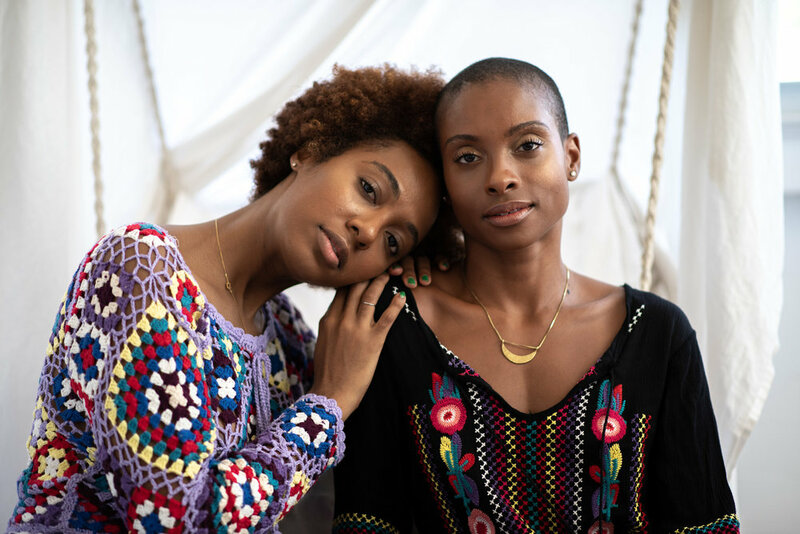 The Colored Girl: Well, we are deepening our ties to the tribe and expanding… So, we are working on building a way for women to stay connected on a deeper level via a subscriber based platform which we are working on. In the meantime, people can subscribe to our newsletter on our website: www.thecoloredgirl.com. Women can also sign up to attend IMARA (spots are limited!) there as well. You can also follow us on social media: Instagram @the.coloredgirl, @imara.retreat. And on Facebook - @thecgirlinc, @imara.retreat. We will also be working with some amazing partners (we cannot say just whom as of yet), and also launching more initiatives & experiences stateside and beyond! We truly appreciate all the love and support and are looking forward to continuing to share our brand & mission with as many women as possible.